One of the many hats I wear (and one of my very favorites!) is that of art teacher. 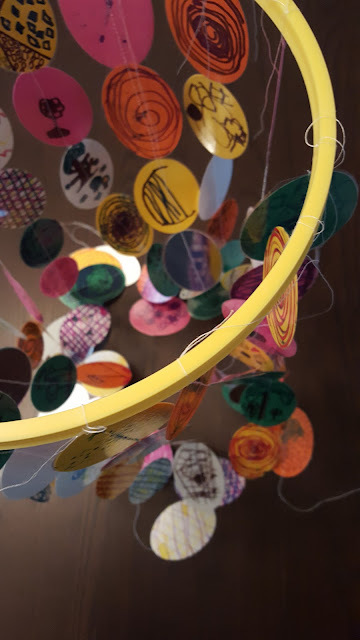 I teach several students in my home, and at the end of each school year I put together an art show to highlight their work throughout the year. 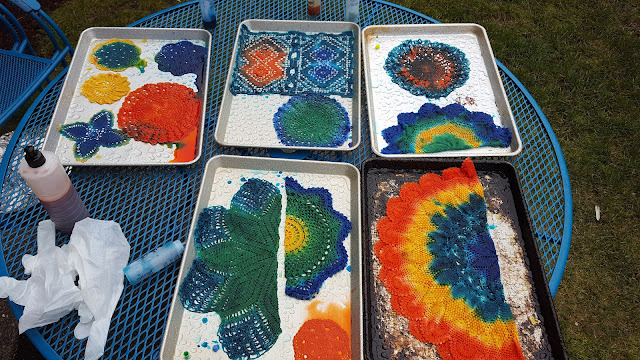 This year as I was prepping for the event, I had the idea to create these sweet-and-salty paint pallets as a themed refreshment for the show. 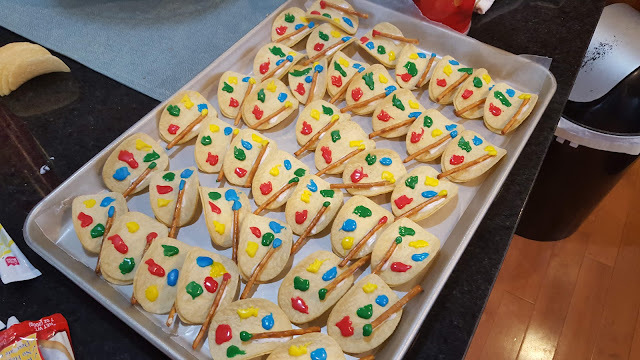 I LOVE when I think of something without the aid of Pinterest. I am grateful for Pin-spiration as well, but it is reassuring to know that I can still have an original idea on my own! 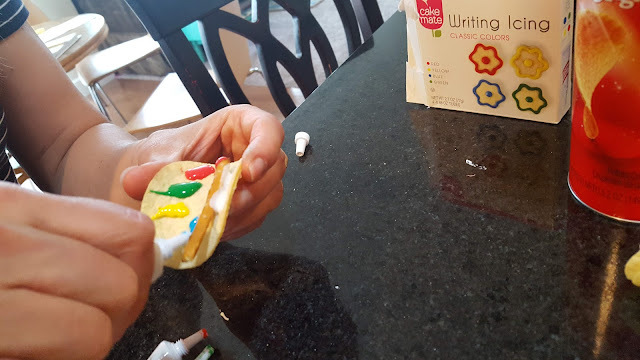 Red, Yellow, Blue, Green or other color Icing Tubes like these. 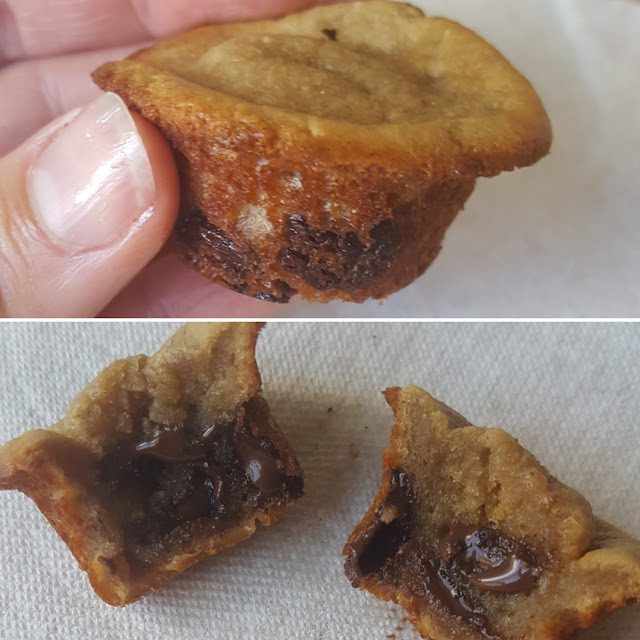 You can certainly make your own icing and tint it and slop it into sleeves to pipe onto these, but the extra $5 I may have spent for convenience and almost no clean-up was worth every penny to me! 1. 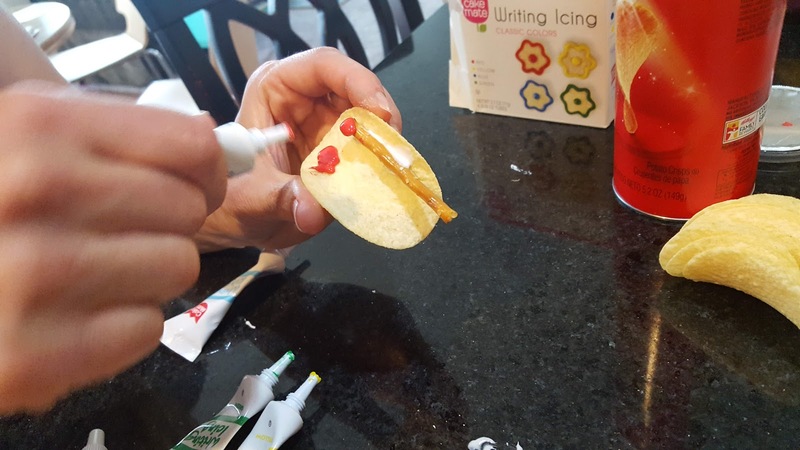 Put a circle of icing on a chip. 2. 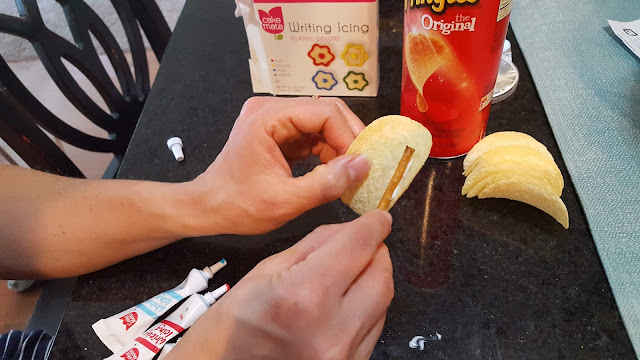 Place another chip directly over it sandwiching them together. 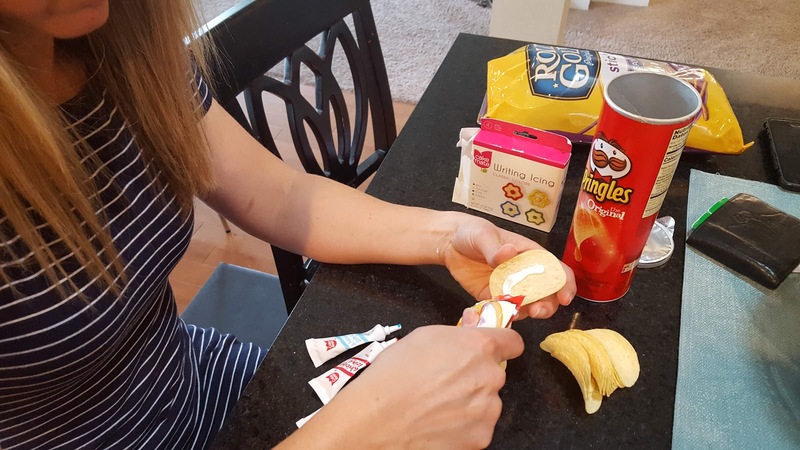 I tried this with single chips and they were too wimpy. 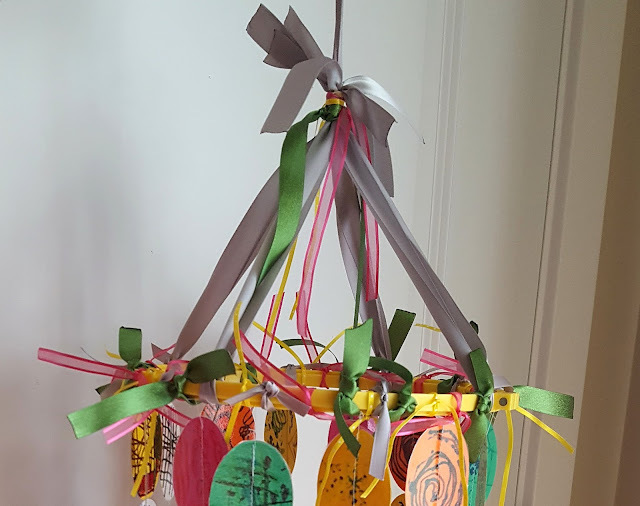 You need two stuck together to make them sturdy enough to hold the decorations you will be adding. 3. Line about half a pretzel with white icing. 4. Stick the pretzel to the chips you just prepared. 5. 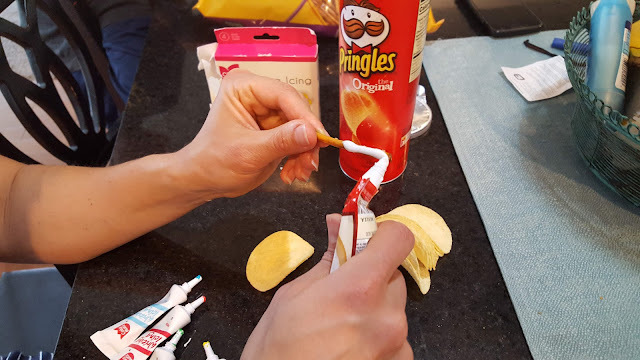 Add icing (any color) to the tip of the pretzel. Use that color to make one paint splotch on the chip pallet. 6. Continue making paint splotches with each of the other colors. Let it dry, and enjoy! 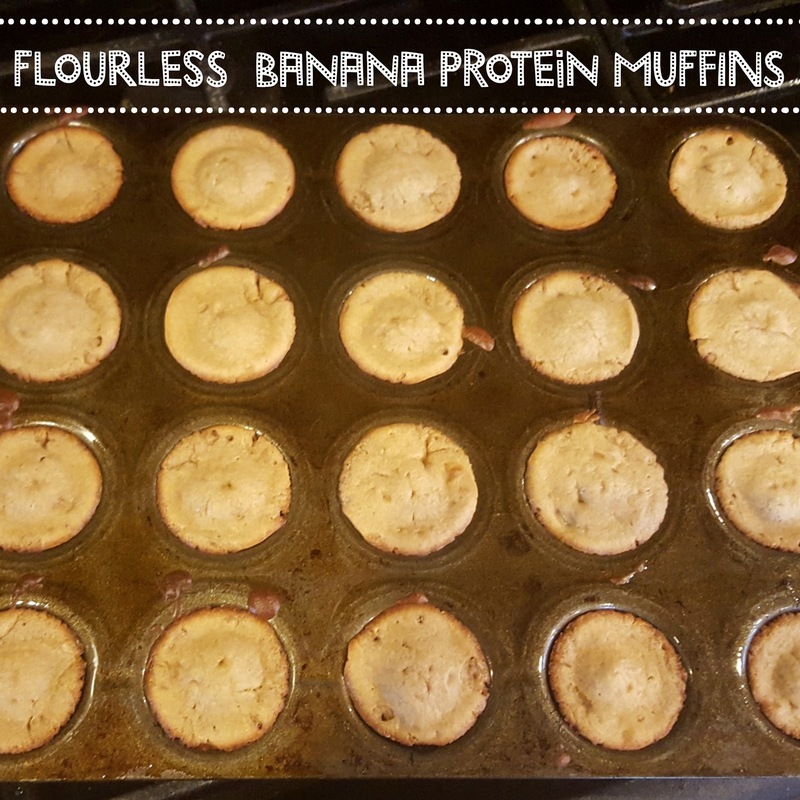 I made two batches of these--with half of them as mini-muffins and half as full-size, so 72 muffins in all. SEVENTY-TWO. And do you know how long they lasted in my home (which includes 1 man and 2 teenage boys)?? Less than 24 hours! I didn't know if I should be horrified or flattered. 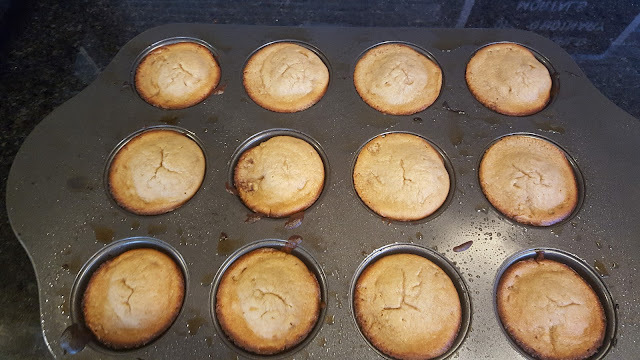 Therefore, the muffins were consumed at a rate of 3+ muffins/ hour. So my husband and two sons each ate an average of 1/hour for 24 hours. 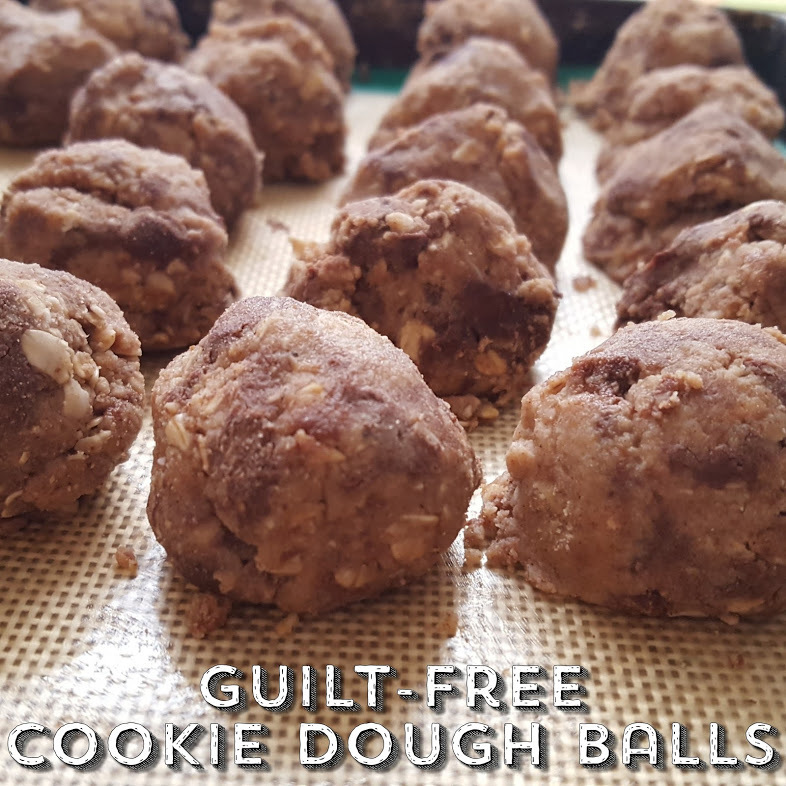 Of course, my younger 2 kids and I ate a few. And my husband and sons were gone on a camping trip for the first 18 of those 24 hours, so the math gets complicated. But, what isn't complicated is the recipe. So we will move on to that. 5. Fill muffin cups 2/3 full. Bake 11-13 minutes for mini-muffins; 14-16 minutes for regular muffins. Six ingredients. No baking. 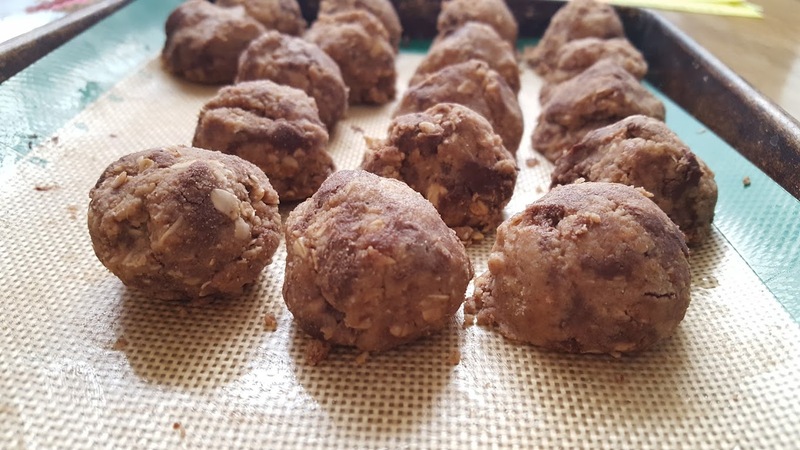 Wholesome blend of protein, fiber, and healthy fats. And they seriously taste like a scoop of cookie dough. No joke. 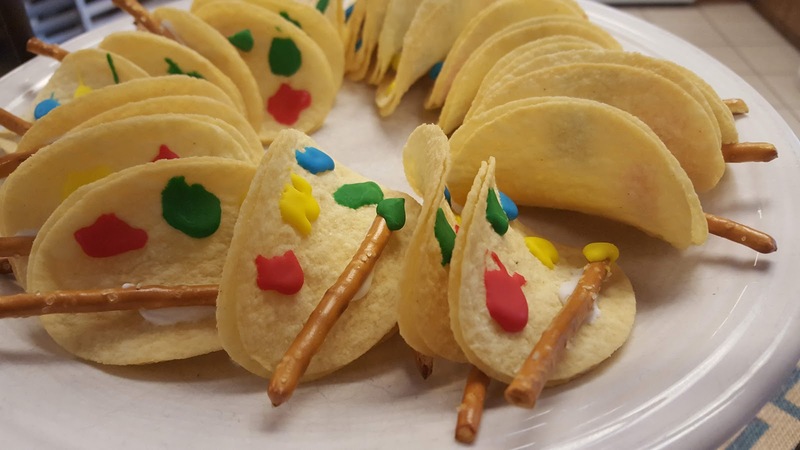 My kids even requested them in their lunches! In a food processor, combine all ingredients except chocolate chips/ cocoa nibs. Process until well mixed. 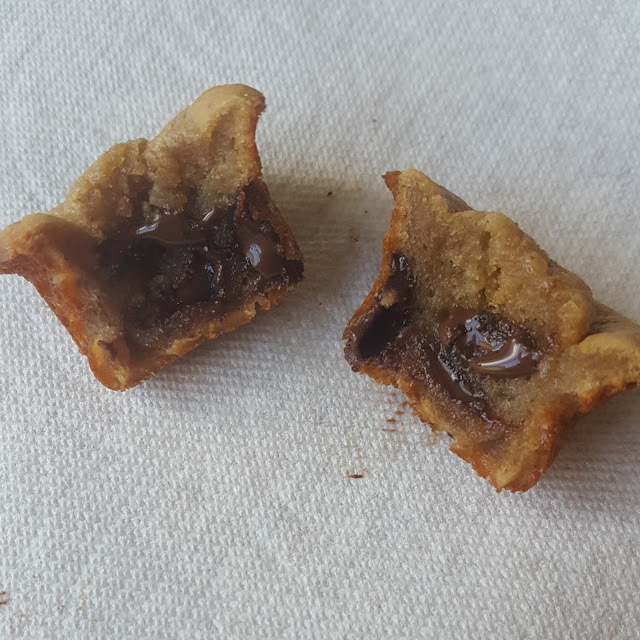 Stir in or just barely process in chips/nibs. Form 1 inch balls and store in refrigerator. 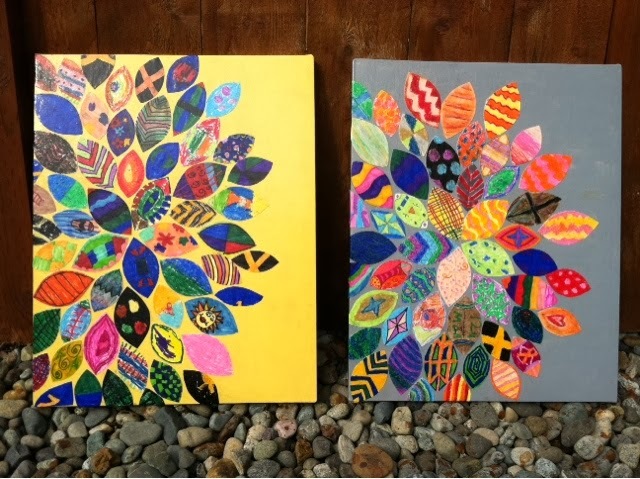 Each year our elementary school has an auction to raise money for the art program. As my daughter's classroom docent, I had to come up with a group project for the class to contribute to the auction. 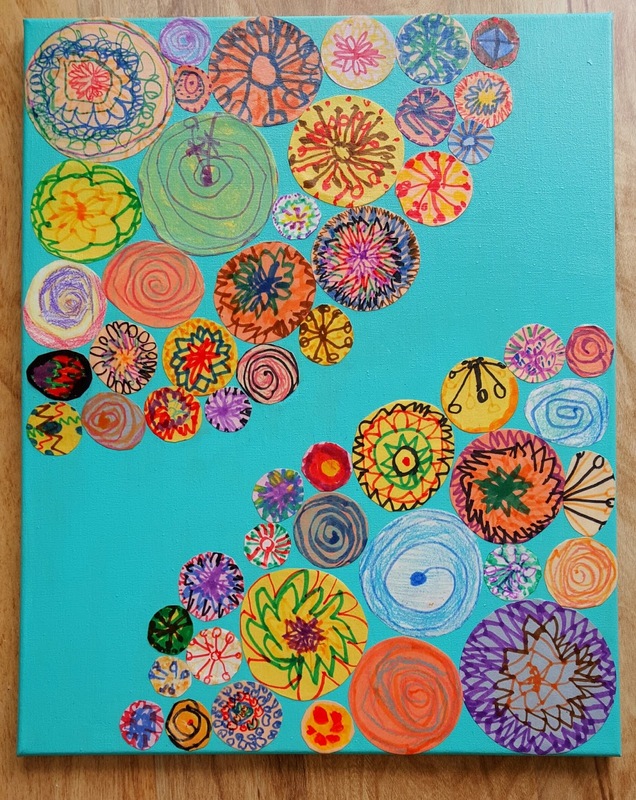 In the past, I have led the class in creating a collaborative canvas. I really like to see the individual handiwork of each student manifest in the final product. I love seeing the uninhibited creativity of their little minds shining. This year, I decided to go mixed media 3D on our project by helping the class create a mobile. 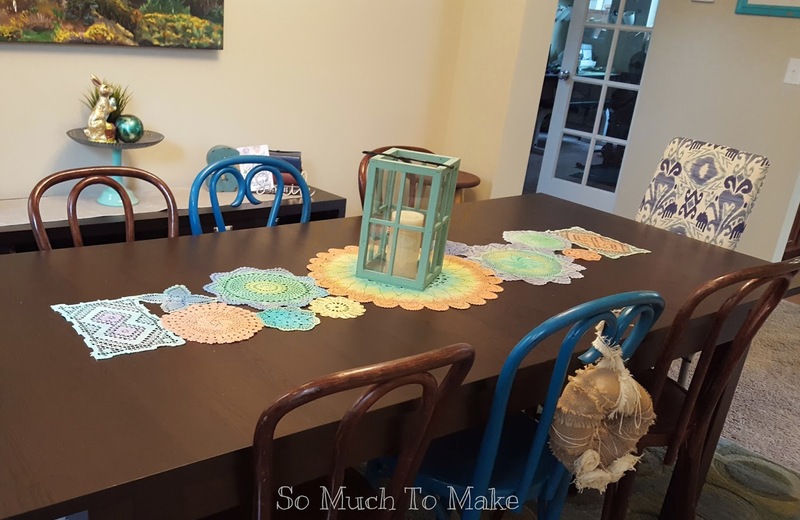 I began with an oval die-cut (in teacher's workroom) and several colors of cardstock. I included one cardstock that was mirrored metallic on one side. I thought the light-catching element would be nice in a mobile. 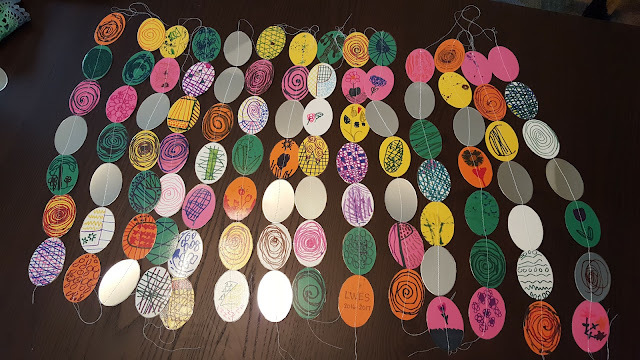 I cut enough for each child to have 4 ovals in the art. 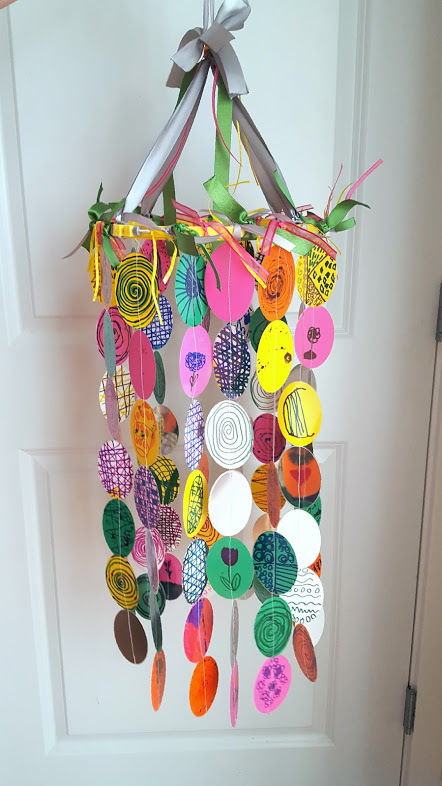 Circles or triangles would also make super cute designs for this piece. 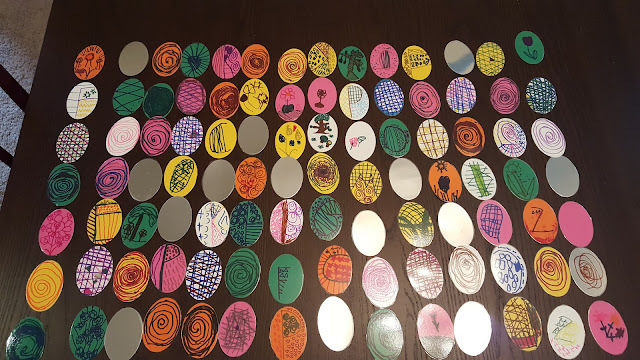 I gave the students ideas and some instruction on decorating each of their ovals with sharpie and crayon. I included swirls, plaid patterns, pictures of "vegetation" (that was their new vocab word of the day), and I required that they each put their first initial on one oval--as their "signature" on the piece. My daughter's teacher was kind enough to laminate them for me. After I cut them all out of the laminating (about 40 minutes in the car at the soccer fields), I laid them out in the order I would be sewing them. Then I sewed them together. If you have never sewed through paper, it is easy-peasy. Just begin at the top, backstitch to tie-off just like you would on fabric, then feed each new piece in as you come to the end of one. Be sure to leave some thread "tails" on the top end of each of your rows. We'll use those later to attach them to the hoop. 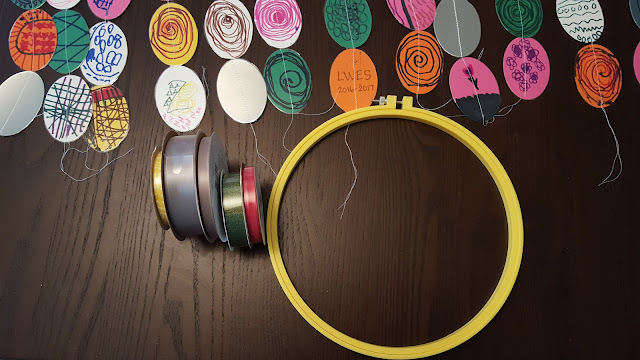 I measured the width of all my strings of ovals laid next to each other to determine how large my embroidery hoop should be before I bought it. Mine was 30 inches in circumference. I also bought some inexpensive ribbon that would coordinate with the colors of the ovals. This part isn't hard, but it is a bit tedious. 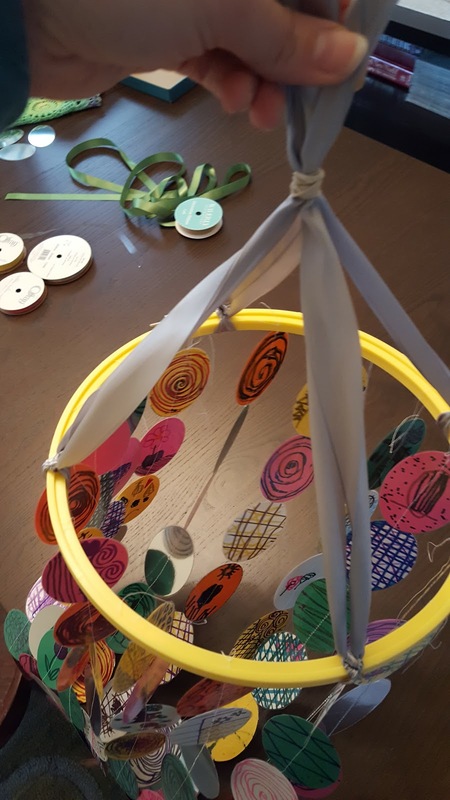 Tie each row of ovals to the embroidery hoop, going around both rings using a square knot. 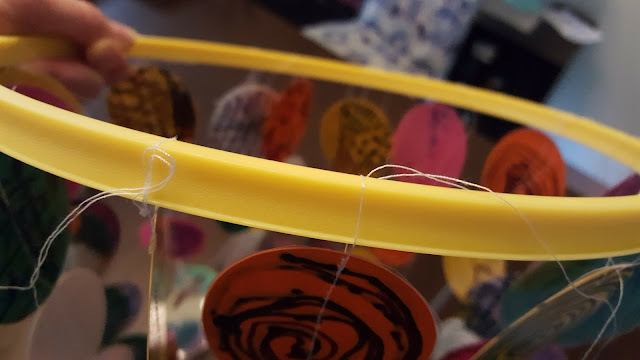 Slide each piece around to evenly place the rows around the hoop. 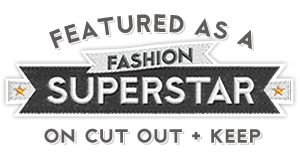 Cut four lengths of ribbon 24-28 inches in length. Tie double knots in each ribbon length at its center to four "corners" of the circle. 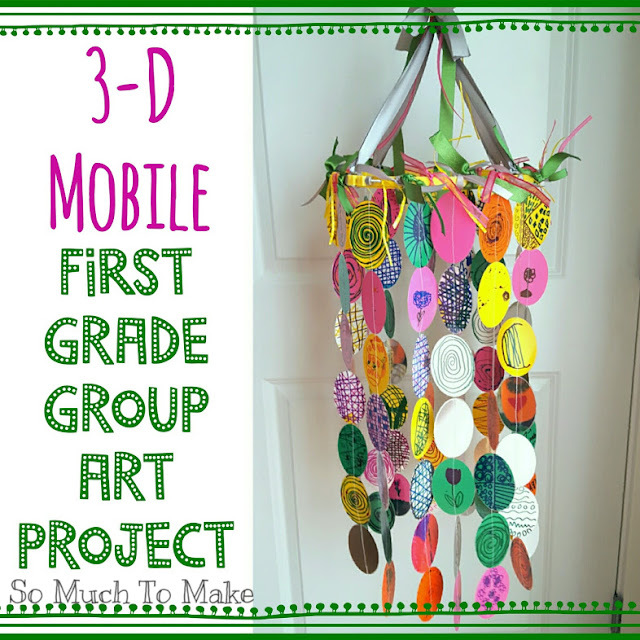 Gather these doubled ribbons with a rubber band to create the top of the mobile. Tie short cuts of ribbon all around the hoop and over the rubber band on the top. I used some of the ribbons sticking out above the rubber band to tie on a loop ribbon for hanging. The students were SO excited to see what their ovals had become! 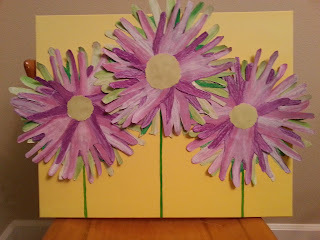 I think this could be such a cute piece to hang in a child's room or above a baby's crib (out of reach, of course!). I think a mobile done just in black, white and silver would be striking. Or one in all blue or all pink tones would be fun. The possibilities are endless! 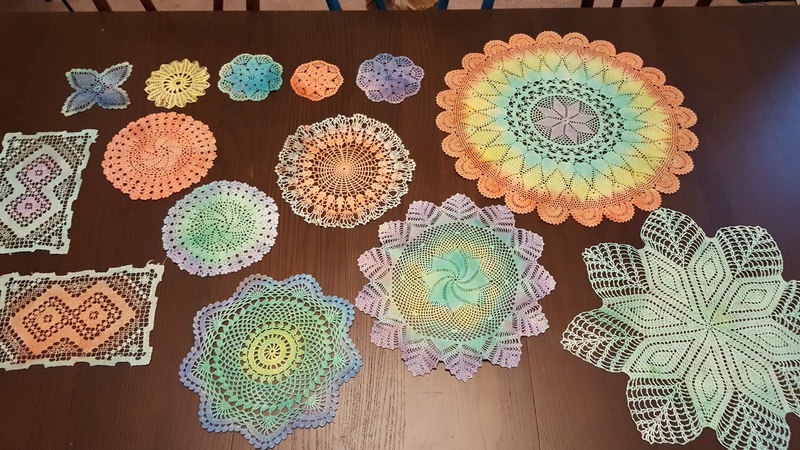 On a recent trip to my visit my folks, my mom pulled out a big bag of doilies. 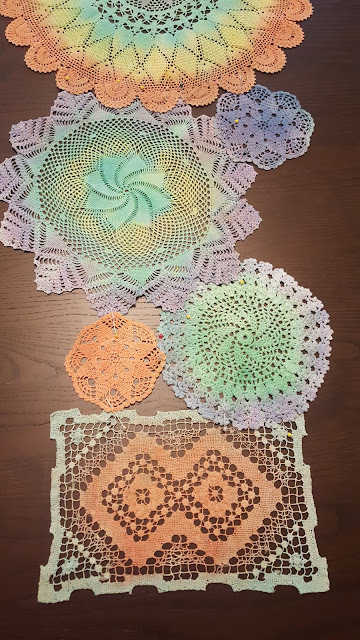 They were yellowed and all had coffee or tea stains, but the loving hands of my grandmothers had made most of them, so my mom couldn't throw them out. She asked if I would like to try to repurpose them. You bet I would! 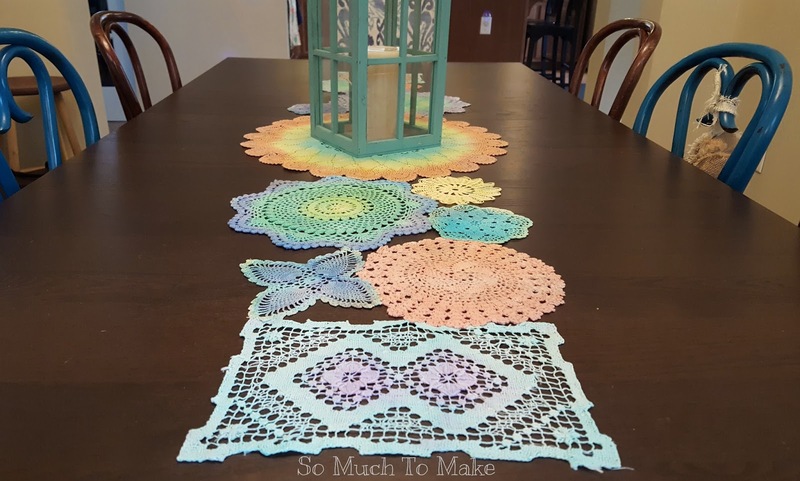 I have seen some beautiful repurposed doily creations by crafters and decorators around the blogosphere: added to clothing, pillows, and pieced into table runners. Here in the greater Seattle area where I live, we have had one of the rainiest winters on record. I saw an article yesterday that said Seattle has had 3 sunny days since the start of October. THREE. 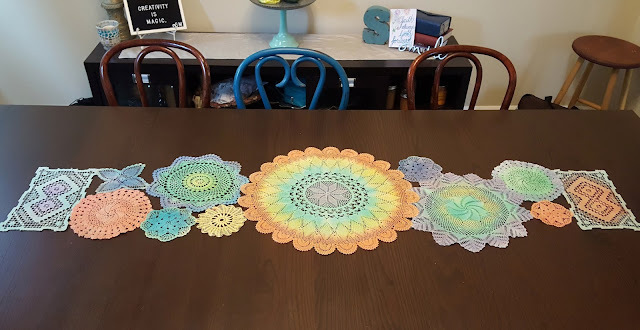 So I shouldn't be surprised that I have been aching to brighten up my house with all the spring colors I can get my hands on. I have even considered painting my dining table white. So, naturally, I decided to make a bright, spring table runner with the doilies. 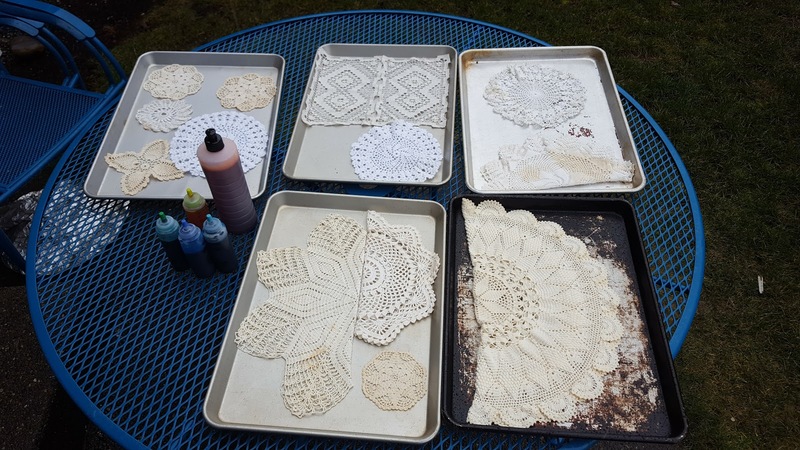 I will walk you through the steps of how you can make one for yourself, and give ideas of where to purchase what you need--even the doilies if you don't have heirlooms from your grandmothers. I found this set of 24 here. Here is a set of 4 larger ones. These kits are so nice because they come with squirt bottles and gloves. 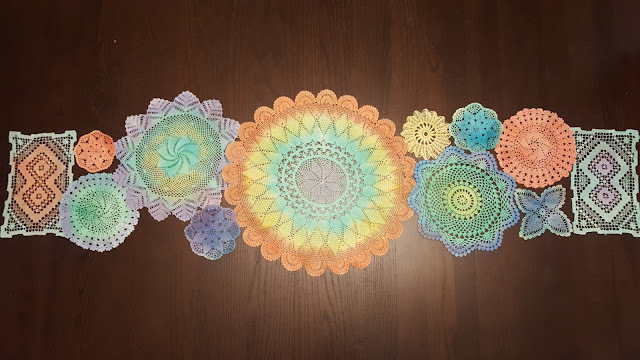 I actually used some of these neon colors on my project, I just didn't leave them to "process" for as long as suggested so the colors would be more pastel. Find this and other kits here. 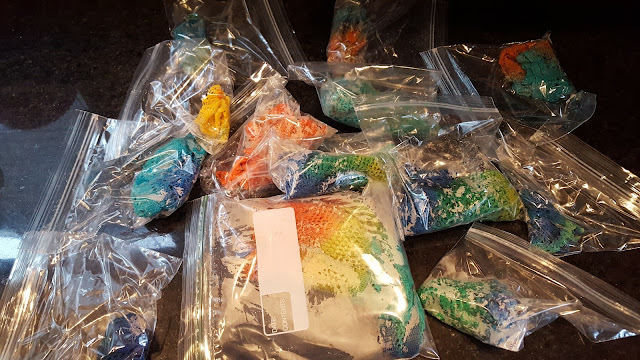 Mix your dyes in squirt bottles according to package directions. If some of your doilies are made of synthetic fibers, add a little vinegar to your dye for color sustainability. 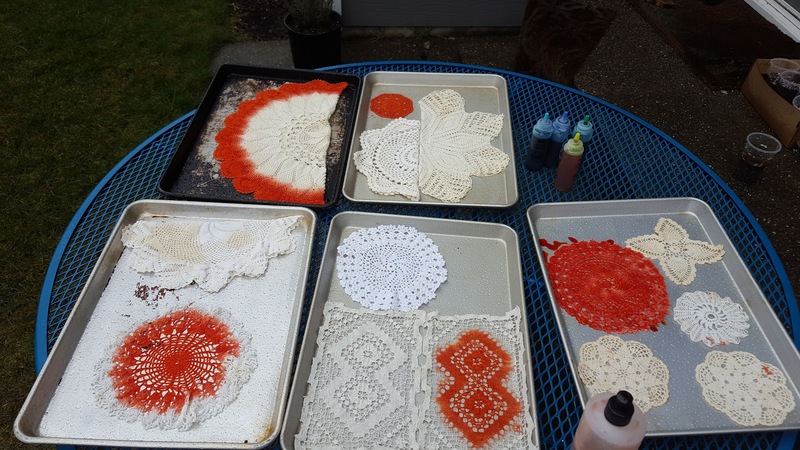 Lay out your doilies on trays. 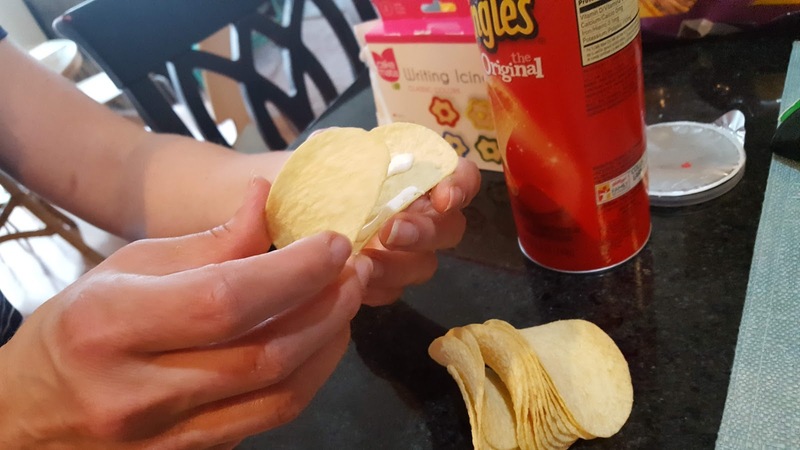 Large ones can be folded in half to fit. I recommend taking everything outside. It was raining throughout this project, but I didn't let it stop me! 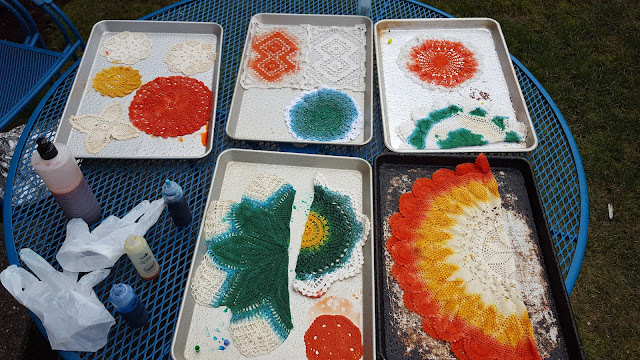 One color at a time, slowly squirt the dye on layers of the doily designs. This part was super exciting for me. 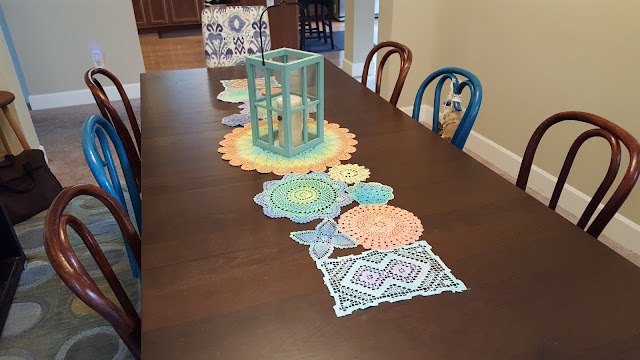 I loved how the color contrasts really made the beautiful designs of my grandmothers' handiwork come to life! Don't worry about the colors bleeding into each other. That should happen. It will soften up the look of the final product. 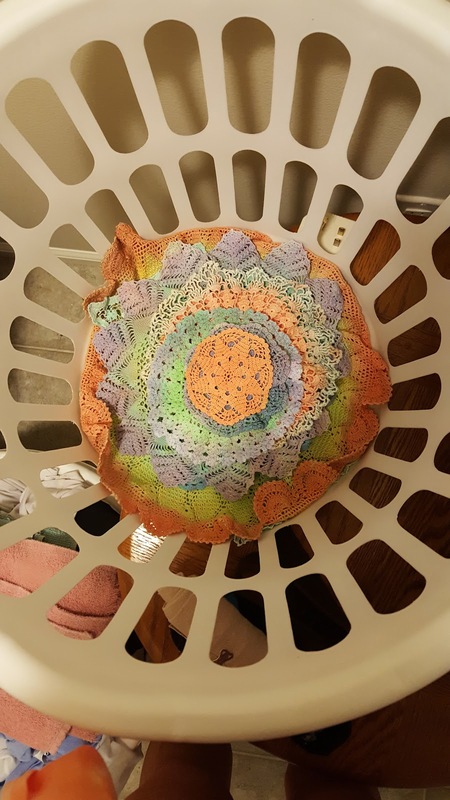 Gently squeeze out excess dye from each doily and place them in individual baggies. Let them sit for 4-8 hours (depending on how bold you want your colors). This was an exciting load of laundry to remove from the dryer! 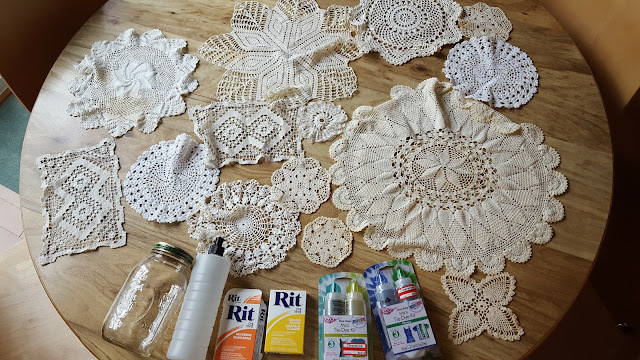 Remove the doilies from the bags straight into your washing machine. Wash with a little detergent and cold water on a gentle cycle. I threw a couple of old towels in with mine as "padding" for the roughness of the machine's agitator. Tumble dry on low. Remove and iron. I used spray starch to stiffen mine up a bit. Lay out your doilies and decide how you want to arrange them for your table runner. I ended up not using 2 of mine. They may become pillows in the future. If you look closely, you can see my straight pins holding together the pieces. Use a ziz-zag stitch in coordinating thread to sew the pieces together. It will be virtually invisible in the finished product. I ironed it one more time after sewing. 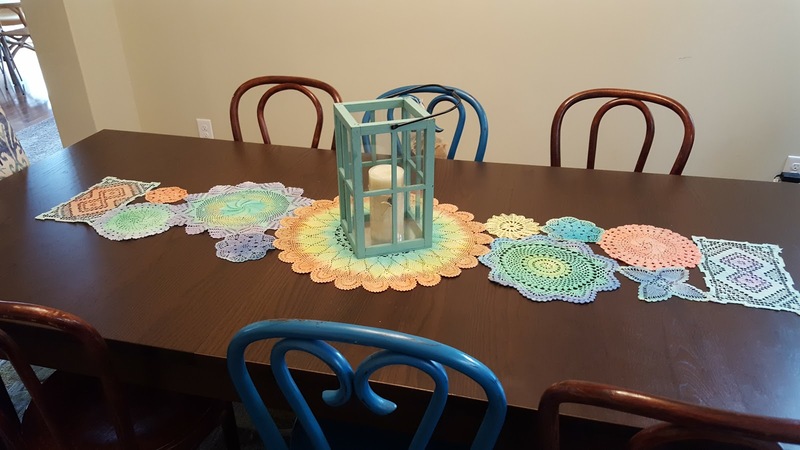 My little dining room feels much more ready for Spring! I smile every time I look in at the happy color and think of my sweet grandmothers and the time they spent making beauty for their homes. I am so grateful these special pieces of art were preserved. Wife, Mother, Sister, Daughter, Aunt, Friend, Artist and Athlete. 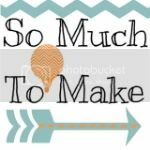 Keep up with all my creative adventures. 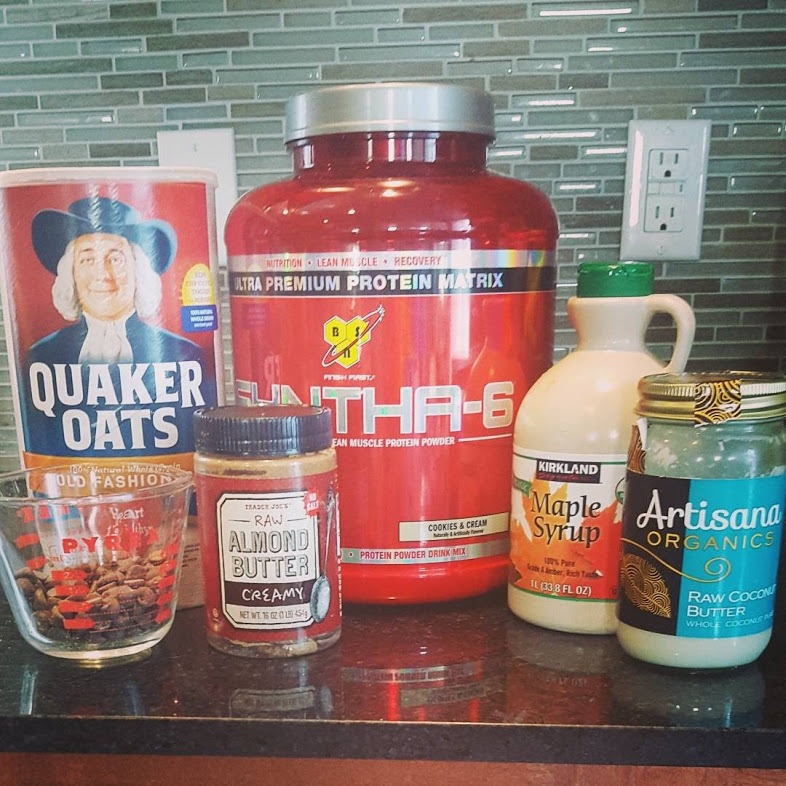 I'd love to have you following along!